We spoke to three women who decided to undergo eyelid surgery (blepharoplasty) for varying reasons. They spoke to us about their surgery experience and what recovery is really like, providing prospective patients with insight into how to prepare and insider advice on how to make the process as smooth as possible. Reasons for seeking the procedure vary, from correcting natural excess skin around the eyes to reducing thinning skin in the area to aid in keeping a youthful look. AEDIT: How was your experience of the surgery itself? Jackie: My surgery went as planned, it was relatively quick, and I went home on the same day. I made sure to have my sunglasses with me, as recommended, so I was comfortable on my journey back. Once I got home I spent the rest of the day relaxing and sleeping, I wasn’t in any pain, but my eye area felt a little tight. AEDIT: How long did it take you to recover? Jackie: In terms of looking normal enough to go out without sunglasses on, it took about 10 days, but it took just over three months until I got to see the final result. It was so exciting when I started to see the new shape of my eyelids beginning to form once the swelling had gone down. It takes quite a lot of patience, but I had faith in my surgeon and had been given realistic time frames of when to expect to reach each recovery milestone which was really helpful for me. AEDIT: Did your recovery match your expectations? Jackie: It did, but my face definitely looked worse than I had anticipated. I knew I’d experience swelling, but it’s difficult to picture what that will look like. I also had blue stitches that made the scars look worse until they were taken out. In terms of pain, I had no pain at all until day five, which is when I stopped taking my postoperative painkillers, so that was to be expected. By that time I was a bit bored from being in the house, but my eye movement became more restricted with the pain so I couldn’t really read or watch TV. I ended up watching Netflix on my phone because the smaller screen was tolerable, but it wasn’t ideal! Things got much better once the stitches were taken out and it felt like recovery was smoother moving forward. AEDIT: Do you have any advice for patients considering the procedure themselves? Jackie: Prepare things to occupy yourself that don’t require you reading or using your eyes. I joined Audible and downloaded a bunch of audiobooks before my procedure, and they were excellent. I think it would be useful to have some form of voice-activated device like an Amazon Echo so that you could get things done without having to move around too much, especially in the first few days. AEDIT: How was your recovery? Li: My recovery went well. Because the scars are in such a visible place it makes it difficult to go about daily tasks without having to wear sunglasses, but other than that it was all straightforward. There was swelling, but I managed that by icing regularly. My eyesight was back to normal within a week, and I returned to work after two weeks, it actually gave me a chance to have a good rest which I rarely give myself time for! AEDIT: How did you manage your pain post-surgery? Li: I didn’t experience pain as such, but the swelling felt tight and a little sore if I tried to look straight ahead. I followed my surgeon’s instructions to the letter and made sure I took my medication on time, iced regularly and slept with my head raised. I actually got more pain from my adjusted sleeping position hurting my back than from the surgery area. AEDIT: Are you pleased with the results of the procedure? Li: I’m really delighted. I panicked for a few days after the procedure because my eyelids looked very asymmetrical, this was due to the swelling. It did take longer than I would have hoped for the final result to show, but I was glad I didn’t need any revision procedures, and the result looks naturally symmetrical. AEDIT: If you could go back in time would you still have had the procedure? Li: Totally, my family eventually understood why I wanted the procedure, and that was important to me. I love the results, they make me feel more confident, and I’ve been able to try all sorts of new makeup styles since the procedure that I couldn't have before. It’s a relatively small change, but it has made a massive difference to how I feel about my face. AEDIT: How did your loved ones react to your decision to have the procedure? Margaret: They were so supportive, even though my two sisters had also inherited the under eye puffiness, they were not bothered by it, so I was worried they wouldn’t understand why I wanted to have the procedure. Once I’d explained how I felt and why I wanted to have surgery to fix the problem they completely understood and even picked me up from the clinic on the day of my surgery. Margaret: It went well, I was pleased to have my family with me for the first few days, though I felt pretty tired. Aside from that, the swelling didn’t look good, but I wasn’t in pain, which I was worried about before the procedure. It was difficult finding things to do when I couldn’t really see that well over the first few days, but I got better really quickly, so it was fine. AEDIT: Do you have any advice for patients considering the procedure? Margaret: First of all, when the swelling makes your eyes look weird just remember how good that after photo will look in a few weeks’ time. 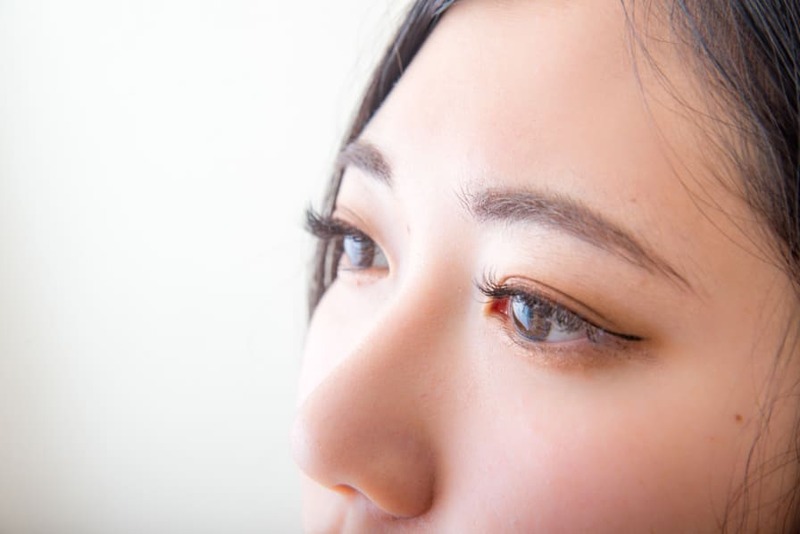 And secondly, your eyes will probably look asymmetrical during the first week, don’t worry about it, the swelling is distributed differently for each eye, and it will settle with time. AEDIT: How satisfied are you with the results? Margaret: I’m so pleased, it’s made a massive difference to how I feel about myself, and that was why I wanted to have the procedure, so I couldn’t have asked for anything more. The results did take some time, but I was told to expect that, and it was worth the wait. I was worried I’d look too different, but I still look like myself just with less pronounced under eye circles. We spoke to three women who have had a facelift to discuss their experiences and offer you some insider tips on how to recover from the procedure as comfortably and effectively as possible.